The state of North Dakota is forming a UAS Detection and Counter-UAS Task Force to test and demonstrate technologies that defend against rogue drone operators. Two federal agencies have expressed interest in testing counter-UAS technologies. A UAS attorney says the Drone Federalism Act introduced in Congress could help end conflicts between states and the federal government over UAS laws and regulation, but it also contains aspects that could hinder the U.S. drone industry. Prescribed burns used to reduce the risk to lives and property during wildfires are being studied by the U.S. Geological Survey with the use of UAS. Thermal imaging sensors on the drones gather data scientists use to study emissions and intensity. Three teams of NASA researchers who have dreamed up potential solutions for pieces of the unmanned aircraft systems puzzle have received the nod to officially begin formal feasibility studies of their concepts. A Canadian-based drone delivery company is eyeing 2018 after it successfully performed beyond-visual-line-of-sight flights this month. Drone Delivery Canada Corp. flew its patent pending drone delivery system BVLOS in Alberta. An organization aimed at making the U.S. more competitive on a global scale has set its sights on drones. 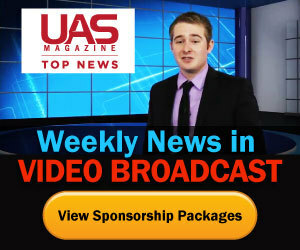 The American National Standards Institute has announced plans to establish a UAS focus group.